Back To The Classroom. | In Florence. A Firenze. I realise I’ve been chatting away about moving to Florence, but barely mentioned what I’m actually doing here. Somehow, I managed to land my dream job, well technically an internship, working for the British Institute of Florence. If the name isn’t ringing any bells, they were founded in 1917 to develop cultural ties between Italy and the English-speaking world. Their role hasn’t really changed much, but they’ve introduced technology (film screenings) and now teach Italian, English and History of Art courses. As a social media intern, I no longer have to hide my Instagram addiction, or worry about tweeting 24/7. I get to document all the cultural events, school trips, and classes the B.I.F put on, and share them with the public. Rhianna got it wrong when she wrote Work (work, work, work, work): there is nothing monotonous or repetitive about this job! Miraculously I’ve also managed to stay a student for a little while longer. As part of working for them, I get to enrol on their Beginners Italian course, which is fantastic. Every morning we have class for about 3 hours, and I’m not going to lie, they move pretty fast. This isn’t to say they’re difficult though, but it’s really a sign of their experience teaching! 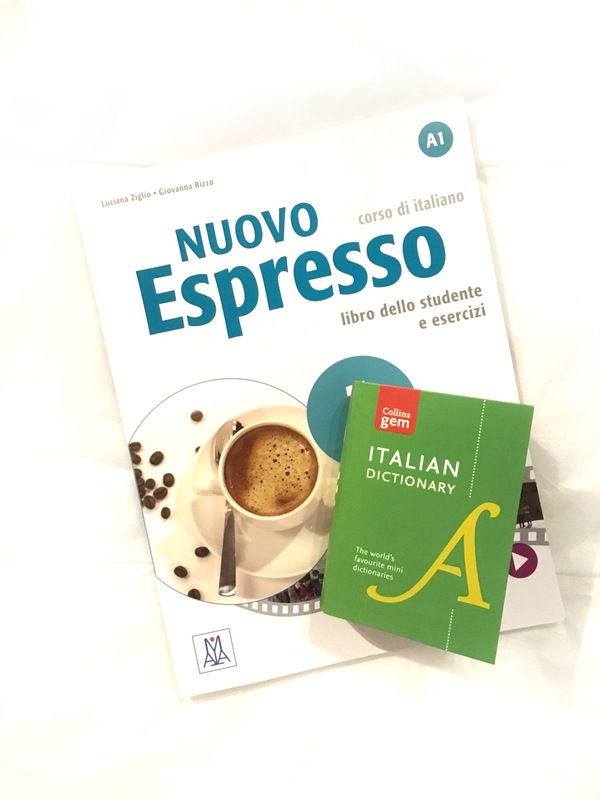 In one week I’ve already picked up so much, and what I’ve learnt has actually been useful in the outside world, although my pronunciation probably sounds like jargon to Italian ears. Classes are a mix of written exercises, games, worksheets, and group work, which means you’re constantly having to think in new ways. Diving straight into speaking the language really helps to break any ice in a class full of strangers. 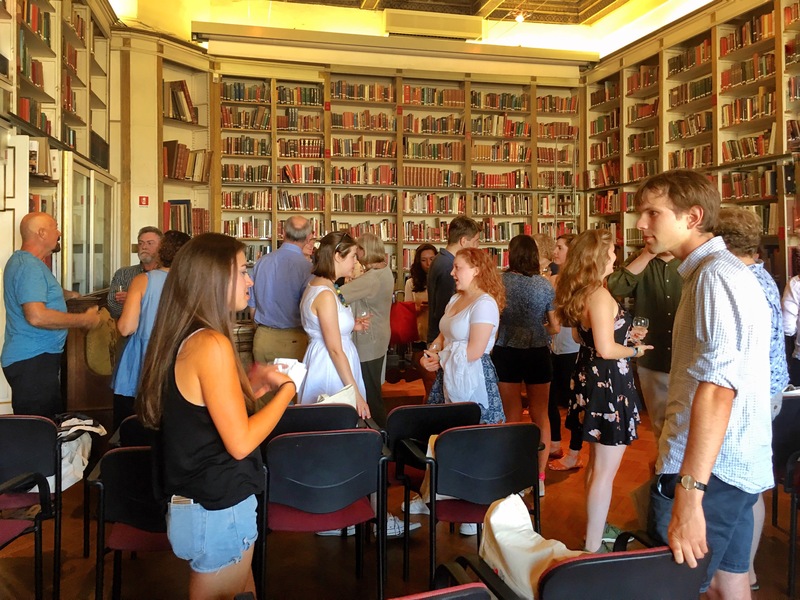 In reality, there wasn’t much ‘ice.’ After our first day of classes, all the students were invited for welcome drinks in the beautiful Harold Acton Library. If you ever get the chance to pop in here on your travels, do. It has so much charm and warmth, all you want to do is curl up in one of the assorted armchairs and read. The welcome reception was the perfect way to finish the first day, it allowed everyone to really relax and mingle amongst students from all the classes. It’s amazing how diverse my Italian class is, with people of all ages and at various stages in their lives; some are retired, others just beginning their university years, whilst a few (like me) are hovering between the student and adult worlds. Still we all get on. All my fears about not meeting people, or making friends, were unfounded. I think this is because theB.I.F are so good at bringing people together. They host all sorts of events, including an extensive cultural programme of lectures and film screenings, which I’ll post about another day. Making students comfortable, socially or in their studies, seems to be high up on their agenda. 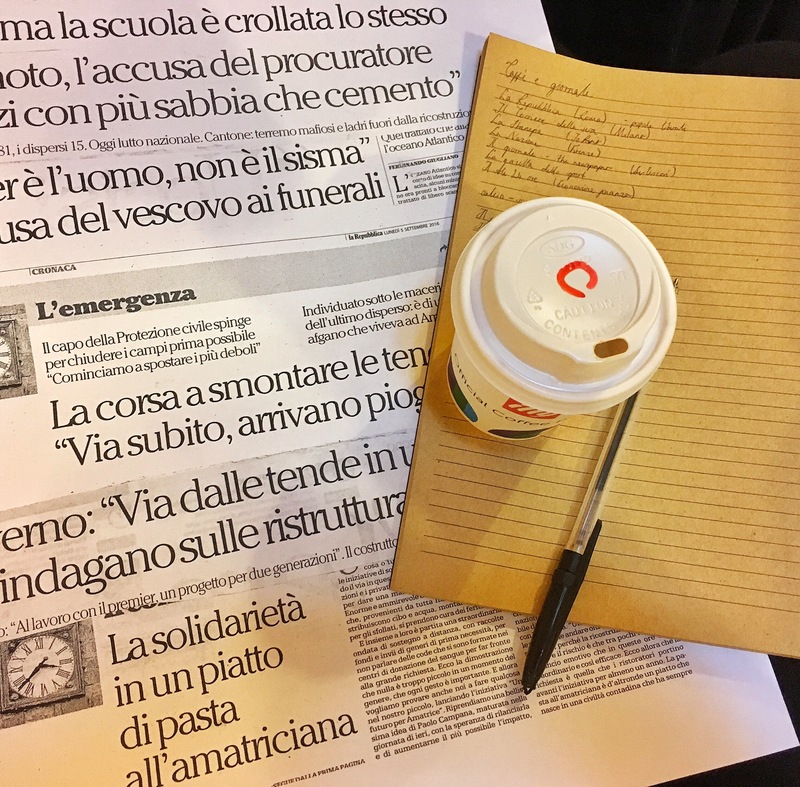 There are numerous help sessions for the Italian classes (called Aiuto), and there’s even a coffee and newspaper group (Caffè e Giornale), for a little more relaxed way of learning Italian. Don’t be afraid to go outside your comfort zone, if you want to study abroad, try it! I’ve been here only a week, but already I can see myself calling this home.